We will pick you up at your hotel or port and head to the old part of Acapulco, driving through the different areas of the city. 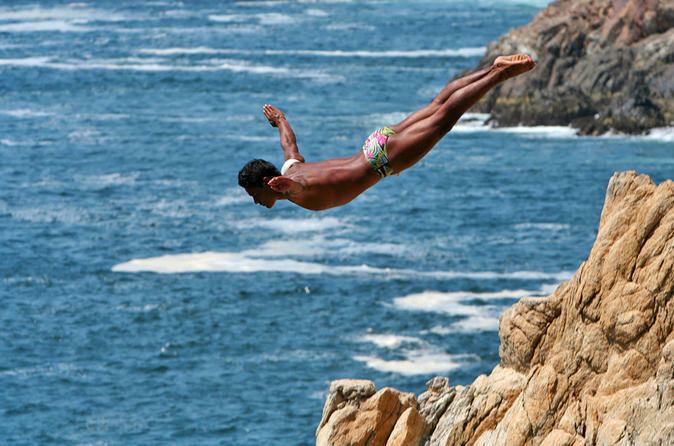 Learn about the golden area, the old Acapulco until we get at La Quebrada, we will pass by the main plaza or zocalo, and old neighborhoods of Acapulco.Once at La Quebrada, we will have access to the terraces from where the view of the divers is great. During the show you will see 5 or 6 divers performing the dives from different heights, the last one will be the one diving from the top of the cliff. At the end of the show we will go back to the ship terminal.